With games like the Wind Waker, The Last Of Us, and Halo: Master Chief Collection finding successful “HD,” “Remastered,” or “Definitive,” homes on the new generation of consoles, it’s clearer than ever that developers are happy to pump out dolled up versions of their older gems. Whether you see these as pleasant revisits to some of your favourite worlds or simply wastes of your time, this re-release trend isn’t going away any time soon. With that said, let’s talk about five HD remakes that we absolutely need to see during this generation of gaming. Arguably one of the most colourful and vibrant games seen on the Wii, this 2007 system seller is a shoe-in for Nintendo’s HD treatment on the Wii U. We’ve already seen a taste of how this galactic setting could look in HD thanks to the Mario Galaxy stage in Super Smash Bros. for Wii U, and it’s really quite gorgeous. While the odds are that most Wii U owners have already played Galaxy on their older units, if Nintendo does as well of a job as they did on last year’s Wind Waker remaster, Super Mario Galaxy HD would be a hard game to avoid on the Wii U – especially if they include Galaxy and Galaxy 2 on one disc! Allow me to admit a horrible secret: I’ve never played Uncharted: Drake’s Fortune all the way through; I only hopped on the series’ bandwagon when I borrowed a copy of its successor, Among Thieves, from a friend. Now I don’t have any way to prove it, but I’ve always suspected I’m not the only person out there who missed out on Nate’s first adventure. With this in mind, plus the fact that these days the 2007 title doesn’t hold up visually as well as its successors, releasing a revamped version of Drake’s Fortune – along with 2 and 3 in one comprehensive collection – seems like a no brainer for Naughty Dog. Throw in a freakishly addicting photo mode like they did with The Last Of Us: Remastered, and my money is theirs. My experience with Conker games is sparse; a few hilarious multiplayer matches on Xbox while at a classmate’s house in 2005, and watching my brother play the N64 version he had rented from Blockbuster in 2001. Still, I understood the magnitude of the franchise after seeing the reaction fans had when Conker showed up in the Project Spark E3 trailer (see one Mr. JonTron). If Microsoft remains as reluctant to make a new Conker game as they seem to be, the least fans could ask for is a newly polished, perhaps digitally only, remake of the already once re-made Conker’s Bad Fur Day. The Xbox One already has a great thing going with a sort of cartoon-oriented, heavily stylized look appearing in games like Project Spark and even more so in Sunset Overdrive, and the Conker series would be right at home with this style. Updated textures and lighting, refined multiplayer, and fixing the controversial censorship from the Xbox version would be enough to appease fans until Microsoft sorts out what the fate of this furry, foul-mouthed hero will be. It’s been eight years since Vice City Stories came out on the PSP. I still remember being in middle school and seeing all the PSP kids (I was a DS guy) huddled in the corner of the classroom with Liberty or Vice, insisting to each other that “San Andreas Stories will be out next year…I read it online!”. Too young to understand that the PSP simply couldn’t handle a game of such massive scale, those eighth grade PSP kids never got the third portable GTA outing they craved. Playstation Vita, in comparison, is a far more powerful system that would be capable of breathing new life into the Playstation 2 version of San Andreas, complete with a brand new prequel story just like Liberty City and Vice City Stories did. San Andreas Stories may also reignite Vita interest with consumers, sparking sales for the otherwise ignored little brother of the PS4. Editor’s Note: Hell-to-the-yes. I started writing this piece just before the game was officially confirmed, so I apologize that number 5 isn’t speculative like the others. Termina: the ever mysterious world that we’ve hoped to revisit since Nintendo first hit us hard in the feels with the N64 classic, Majora’s Mask, back in 2000. 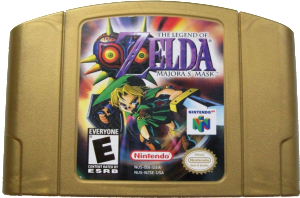 When Nintendo released a fully updated, handheld version of Ocarina of Time for the 3DS in 2011, we had all understandably assumed that Majora’s Mask 3D would soon be on its way. 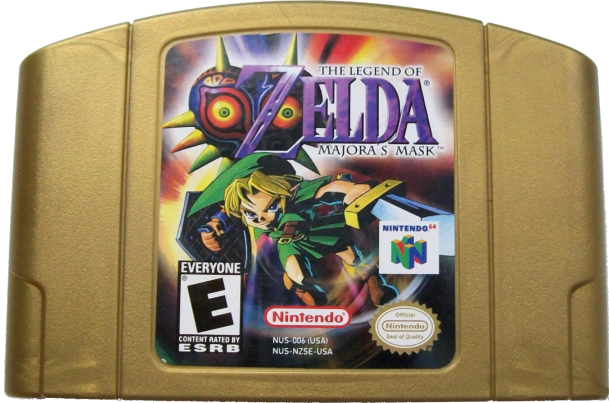 But with nothing but the titular mask itself appearing in 2013’s Link Between Worlds, and a few cheeky “will we/ won’t we” remarks by Miyamoto, Zelda fans have found themselves, much like Link in MM, meeting with a terrible fate – unable to explore the ambiguous and melancholy world of Termina on the 3DS. Now that’s all changed. 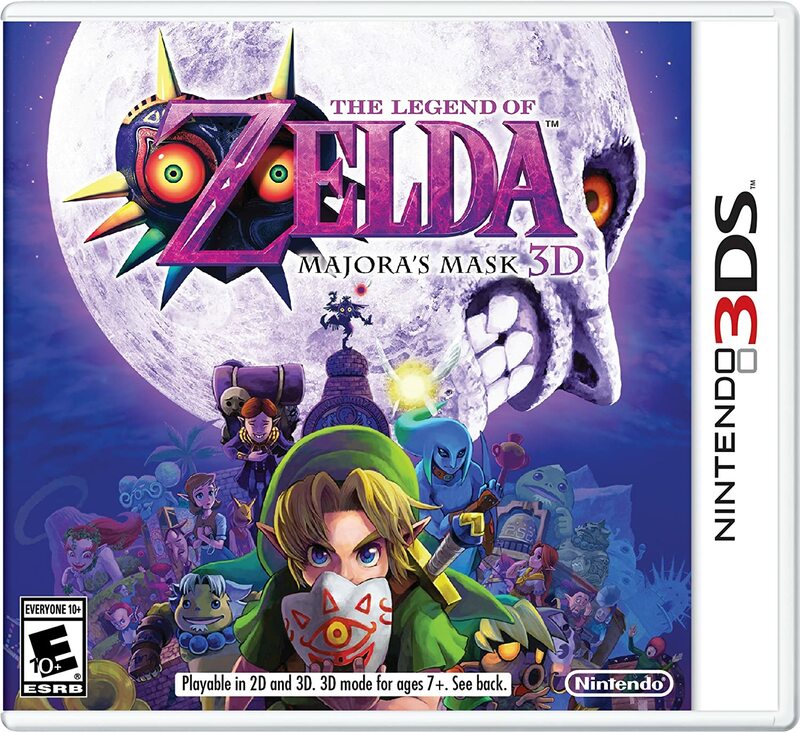 Majora’s Mask 3DS is set to hit stores sometime later this year, along with a beautiful but wickedly elusive Collector’s Edition featuring a statue of the game’s antagonist, The Skull Kid. Updated visuals in the same style as the 3D remake of OOT and supposed yet unexplained changes to certain gameplay elements are enough to catch my wallet’s attention, leading me and many other Zelda fans to collect all 24 masks again while on the go. And there we have five classics that, if this trend of remastering continues, need to find homes on the current generation of consoles. Do you agree or disagree with any of these choices? Are there some classics that you want to see remastered? Let’s talk about it in the comments or on Twitter! Good picks, especially Uncharted. But there is one series, undervalued by my estimation that I would love to see, yet Capcom seem reluctant to comply with: Onimusha. It wasn’t one of their most popular, or even their best but it deserves some recognition. Thanks, friend! An Uncharted trilogy seems like a no-brainer especially with Uncharted 4 set to launch later this year. As for Onimusha, I definitely remember those games from the PS2 but can’t say I played any…all the more reason to get them on the new hardware, I guess!